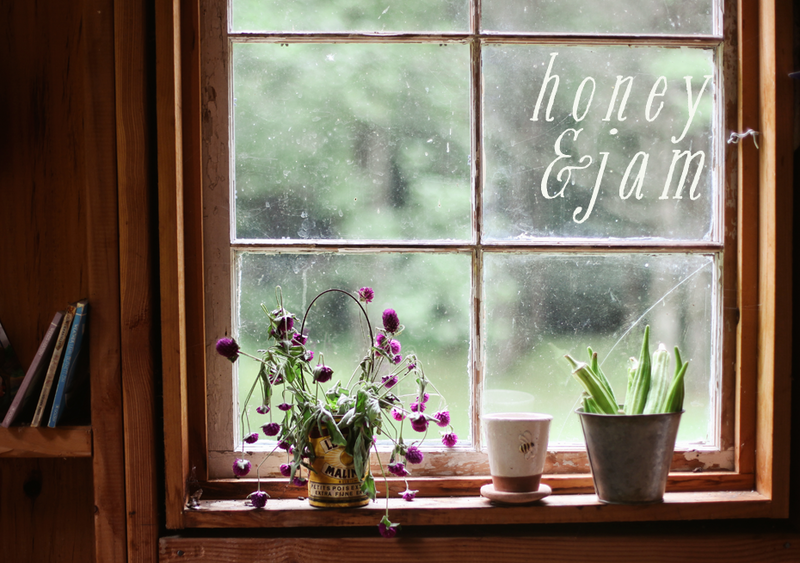 honey & jam | recipes + photos: lovely spring things. I've spent most of the afternoon outside in the amazing weather, photographing all the little plants I've started already. 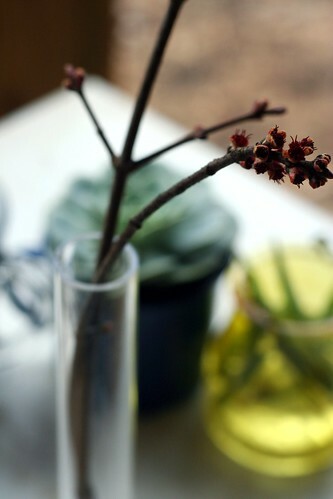 A couple of our trees have starting budding, so I pulled off a few branches and stuck them in a vase. So beautiful. 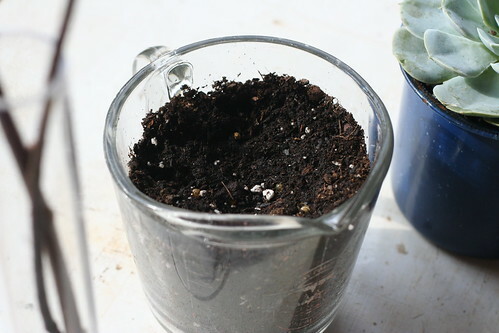 Instead of going out and buying a bunch of pots to put seed in, I've used things around the house, like the camping cup and this old measuring cup, I couldn't see the lines on the side anymore! It's so much cheaper and I think it looks great. I can't wait to start my herbs and other gardening projects, it seems I'll be taking care of the carrots and onions this year. I'm hoping to bake some earl grey cupcakes this week, but I'm not sure what else. I'm sure I'll tackle some more recipes from my new cookbook. Here's my tip for the cupcakes, which you'll probably already know: crush the tea ahead of time so it's in teeny-tiny bits. I do this with earl grey cookies, but when I made the cupcakes, I followed the recipe to the T and it accidentally forgot that part. The result? good cupcakes but with little wiry bits of tea. EW. 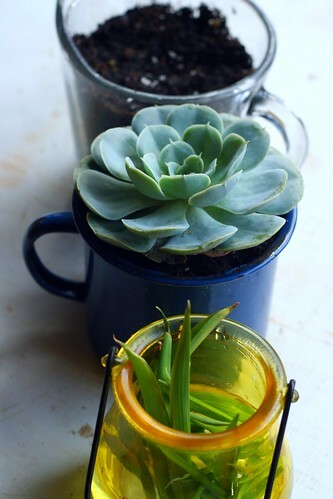 I can't wait to get some plants on my porch this spring. Your Swedish Visiting Cake looks great. 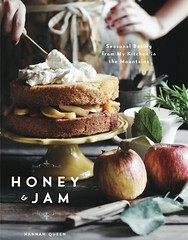 I have Dorie's book also and want to try this cake now!! 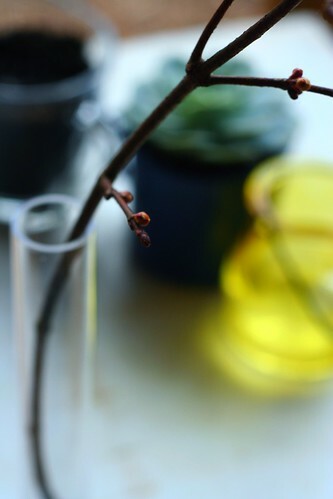 The simple beauty of some branches. Makes me want to go get my pruning shears!